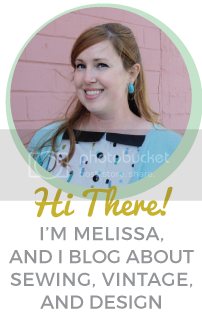 If you’ve been reading this blog for a while, you’ll know that I have something of a black thumb when it comes to gardening (though I’m trying to get better, really!) Last summer, I tore up the backyard planters and tried to grow some veggies, with very limited success. 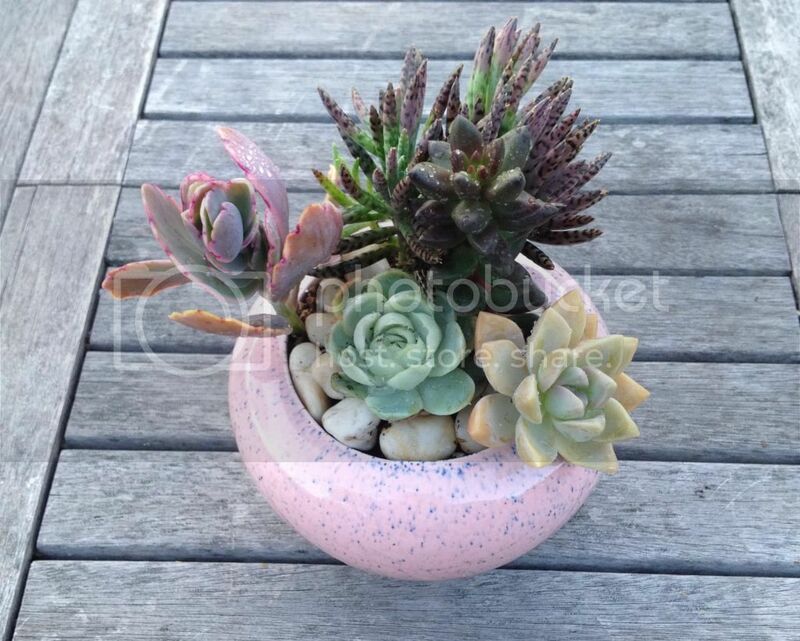 I do have a fondness for vintage planters though, and Phillip recently gave me two very pretty ones. They looked kind of sad sitting empty on the shelf, so I decided I’d try some cute succulent arrangements, which I can keep indoors and which are notoriously hard to kill. Yay! 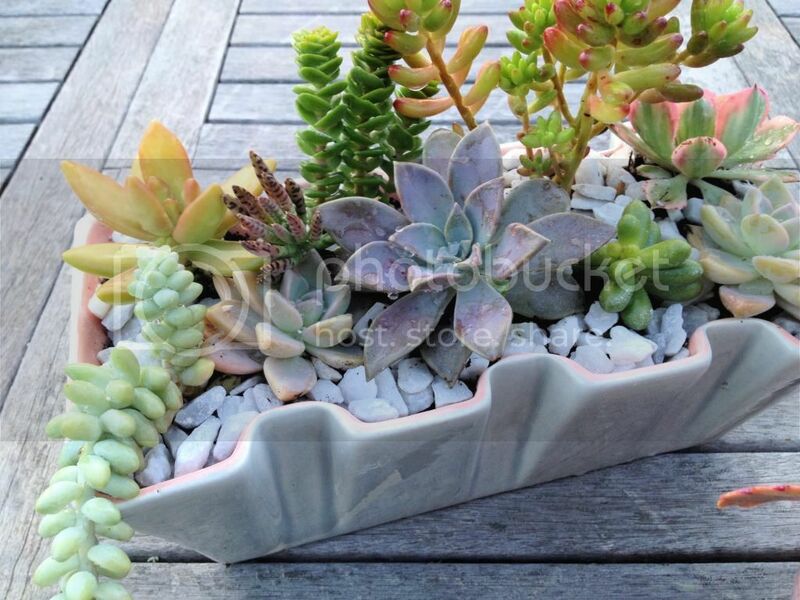 You need: planters or pots, potting soil, gravel, and succulent cuttings or small starts. 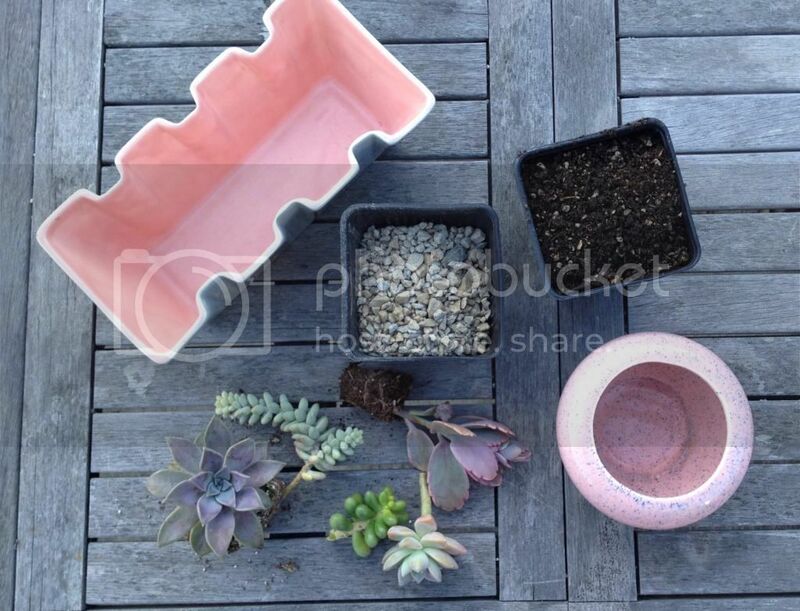 Optional: decorative gravel or rocks to cover the potting soil. 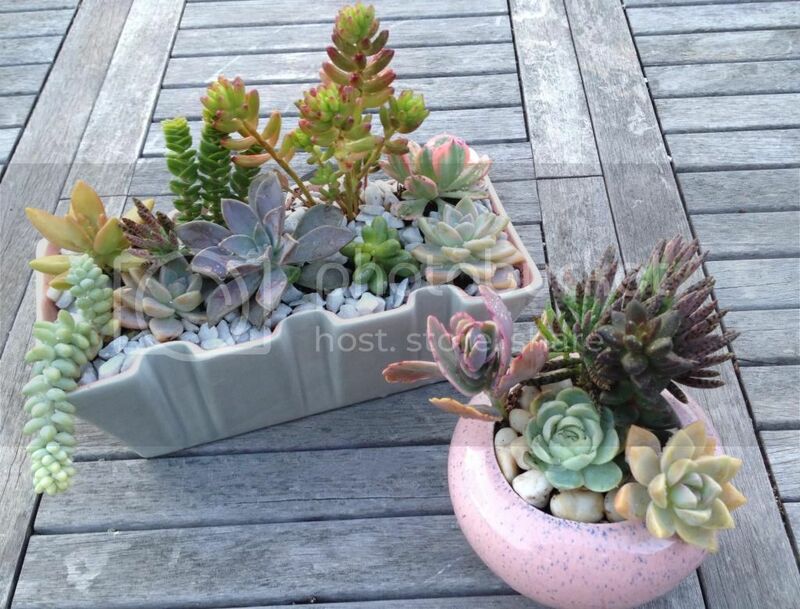 Step 1: Raid your mom’s (or grandparents, or friends, or neighbor’s) succulent stash! This is my mom’s in the picture above. These plants are great because you can just pick off a branch from a larger plant, stick it in the dirt, and it will quickly grow roots. I mostly just picked off cuttings and used a few small rooted plants too. 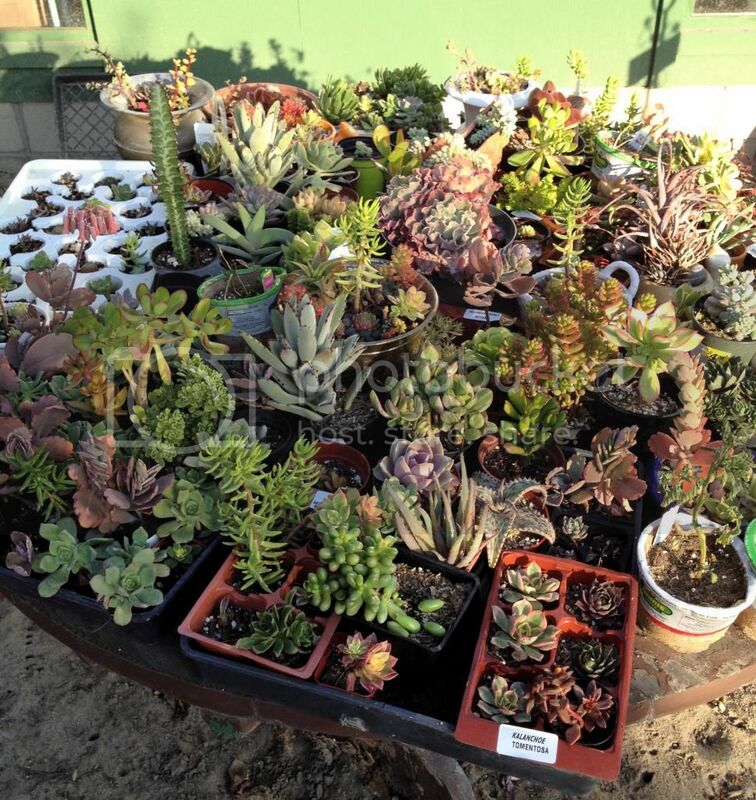 For those of you without plant-loving moms close by, you can buy them from the nursery and/or hardware stores pretty inexpensively too. Step 2: Pour some gravel into the bottom of each pot, about an inch or so thickness. 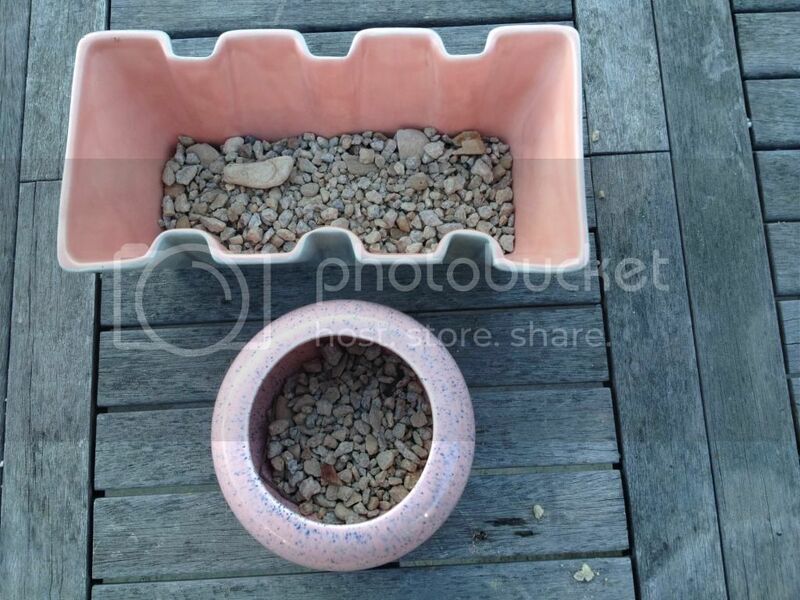 Even if you have a pot with drainage holes, you probably still want to add a gravel layer at the bottom. 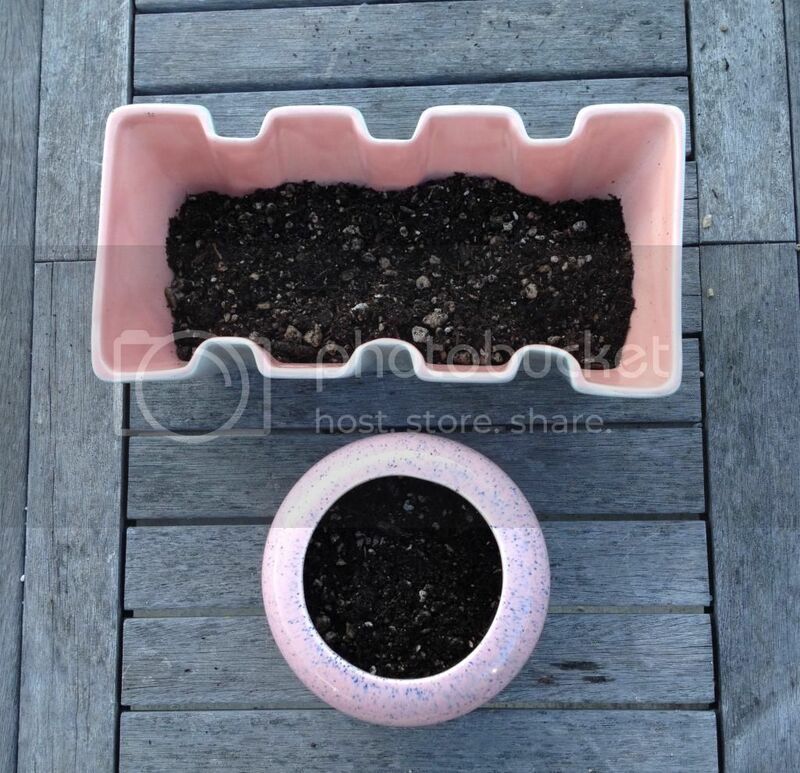 Step 3: Pour some potting soil on top of the gravel, still leaving a couple inches room on top for your plants. 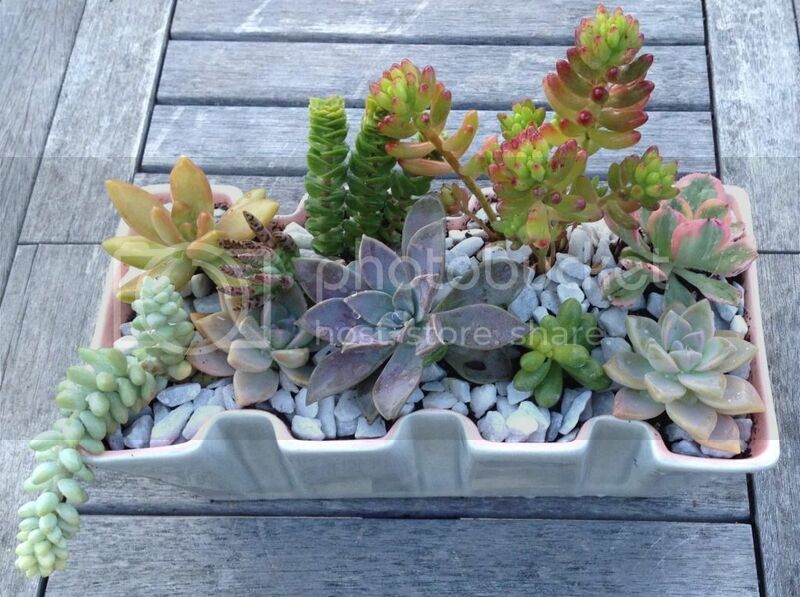 Step 4: Stick your plants in and fill in the gaps with potting soil as you go. I put a few taller plants in the back and some shorter ones in front, trying to vary the colors and shapes. 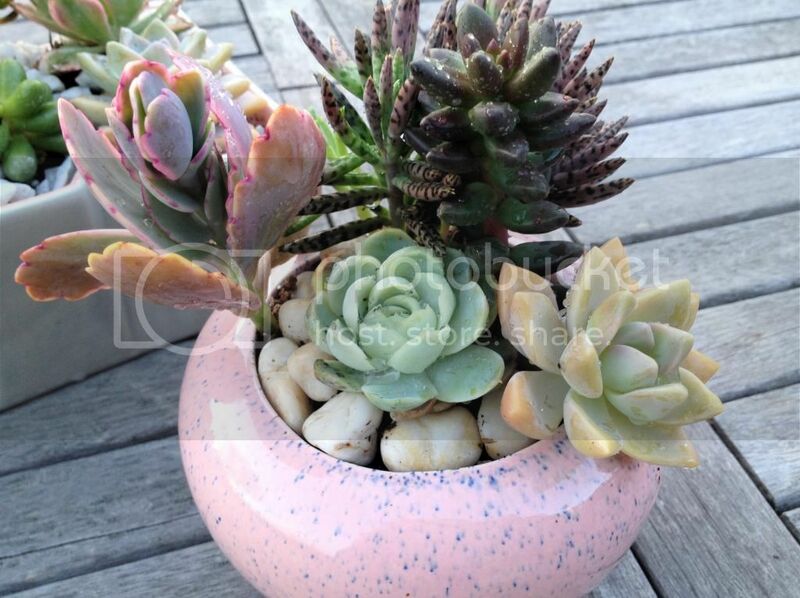 Once you’ve got them as you like, give it a good sprinkling of water, and if desired, cover the exposed soil with your decorative rocks or gravel. I used white gravel for my rectangular planter and river rocks for my round one. They make a nice little edition to my living room and I suspect I’ll be able to keep them alive for awhile! I hope you enjoyed this little project! Are you a struggling gardener like me or a seasoned pro?